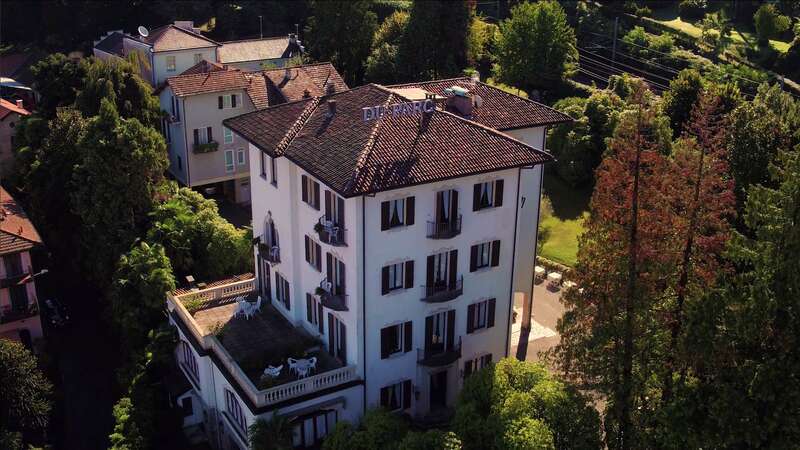 Originally a period private villa set in its own beautiful grounds, it was transformed into a hotel in 1952 and subsequently enlarged and refurbished.All rooms have private facilities (bath or shower), air conditioning, hair dryer, satellite TV, telephone, minibar, safe. A buffet breakfast is provided. There is a bar, lounge, TV room, internet point / WI-FI connection free and a “taverna”. Lift. Private free parking. Much of the elegance of the beginning of the last century has been preserved in the hotel’s furniture, chandeliers, ceilings and floors, along with many paintings, all adding to a feeling of comfort and charm.